This is a tough winter dormant perennial to a metre high that comes from a wide area in Europe and western Asia. The flowers are yellow, usually with a pinkish hood which colours more each day it is out, and occur in spikes in summer and autumn. 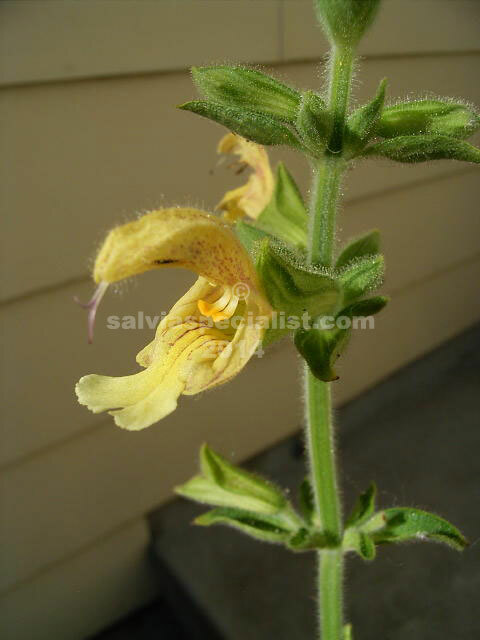 There are not many yellow salvias so this is a welcome addition. Part shade might be best in hot climates but probably sun is best. It is not frost tender. It is very similar to nubicola and could be confused if you are not very familiar with them.